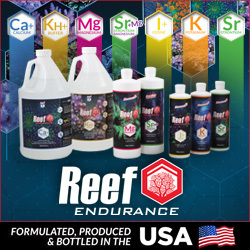 Effective immediately CoralVue will be handling distribution of all Reef Life Support Systems (RLSS) products that include is popular protein skimmers and Waveline DC pumps to name a couple. RLSS has grown in popularity over the last couple of years and RLSS is focusing it’s attention on developing new products like the up and coming Wavepuck. What will this mean for the consumer? It will mean that parts and products are more consistently and readily available for one. Also, warranties and replacement parts will no longer be done by the place where you purchased your product from. These will now be covered though CoralVue and all claims shall be made through CoralVue’s Support Portal. We understand that CoralVue is already expecting a container shipment of parts, skimmers and pumps within the next few weeks.